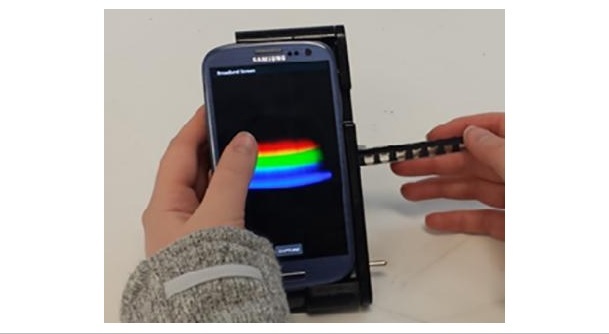 Scientists have created a smartphone accessory that can test liquid samples for disease. The device is called a TRI Analyzer, it costs $550, and it puts a medical testing laboratory in the palm of your hand. It’s capable of performing the three most common types of tests in medical diagnostics, so in practice, thousands of already-developed tests could be adapted to it. The implications of inexpensive, on-demand, consumer-led testing are immense. Patients who can’t travel to labs would be able to provide doctors with test results. Clinics without access to full-sized labs could provide in-house testing without purchasing expensive equipment. Researchers also believe the device will be able to process drug tests, so no more waiting to get hired — or fired, no judgement. It’ll also have applications in environmental monitoring and food safety. One step closer to Star Trek’s medical tricorder, next up we’ll take the food replicator please!